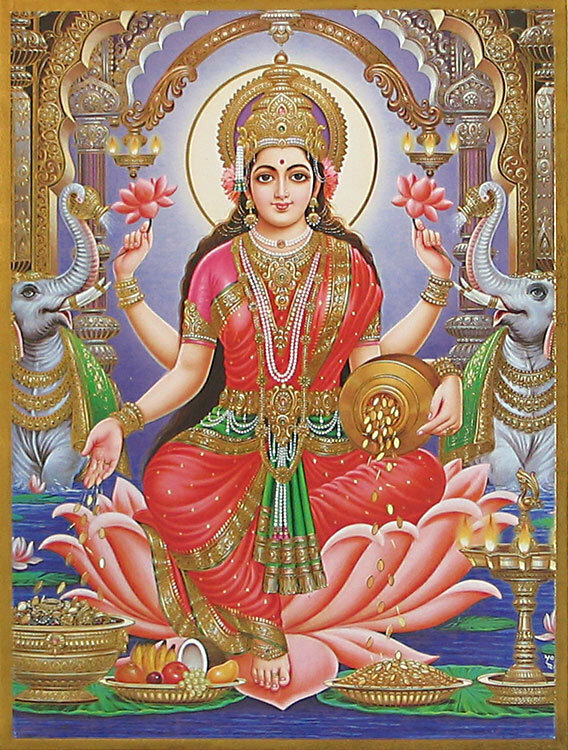 Lakshmi Mata is the goddess of wealth, wisdom, prosperity, grace, generosity and charm. 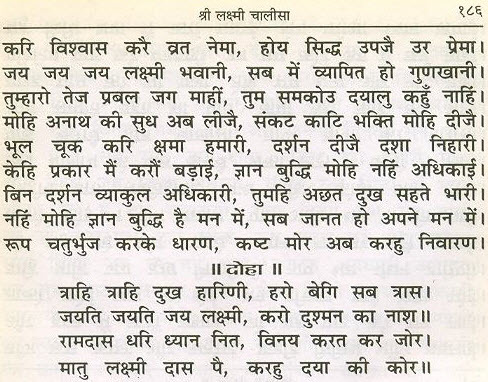 A person who recites this prayer with true devotion is blessed with wealth and prosperity.The worship of Laxmi and the regular chanting of the chalisa is recommended, to those wishing to free their Karma of all the past misdeeds. 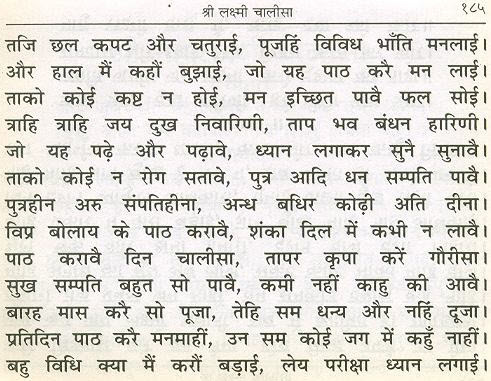 Ramdas dhari dyan nit, vinay karat kar jor. 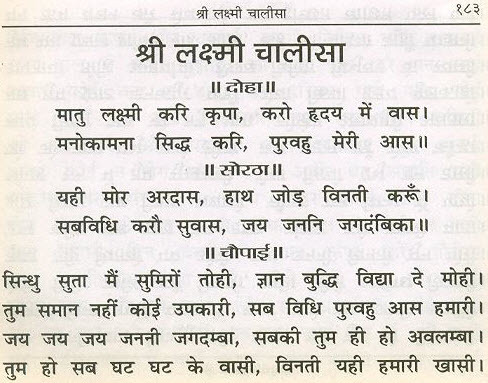 Matu laxmi das par, karhu daya ki kor .